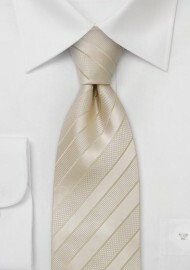 One of our most elegant and most popular wedding neckties! Have a closer look at the fabric texture of this tie. An intricate pattern of ribbs, basket-weave, and solids are combined in one single cream colored striped pattern. It is the perfect necktie for the festive occasion. 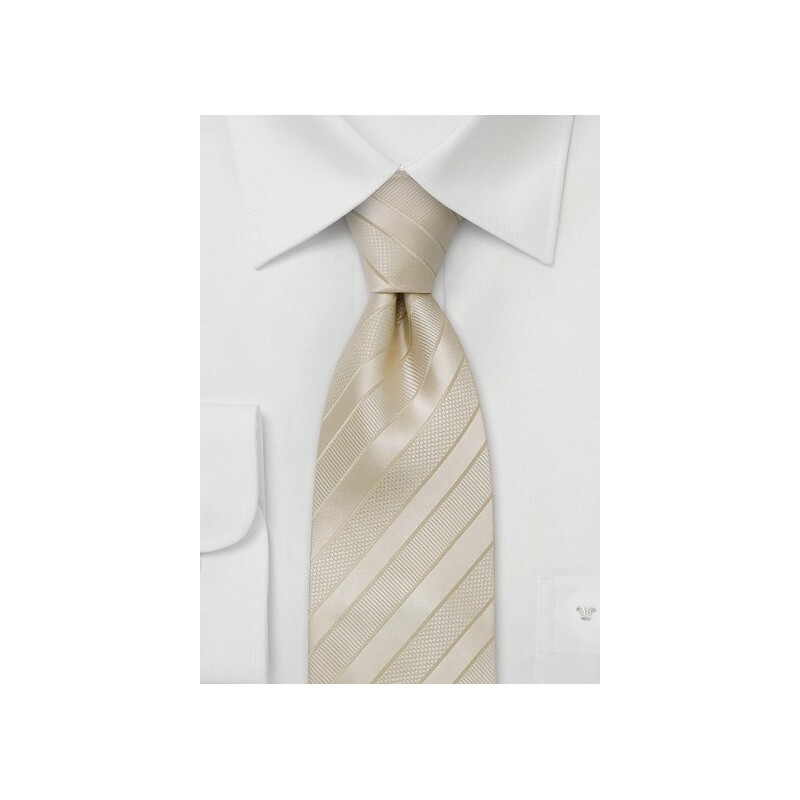 This tie measures 62 inches in length and is made for men above 6 foot 2 inches. We also carry this tie in regular length as well as in kids size. That way the entire wedding party can be dressed in matching neckties - regardless of height, weight, and age. Handmade from pure silk by Parsley. Extra Long Length: 62", Width: 3.75"